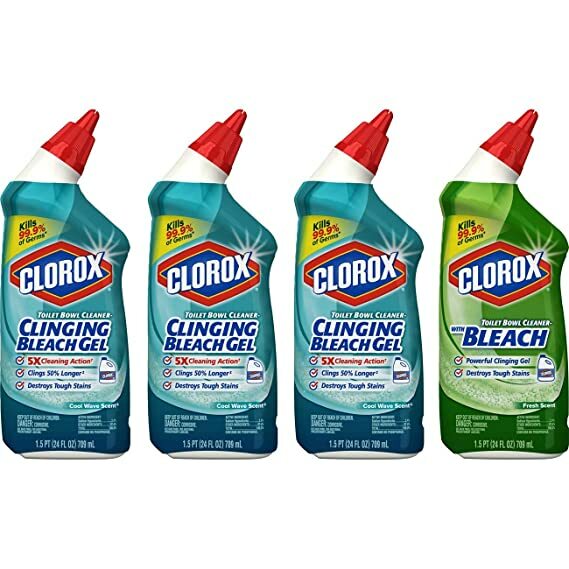 Amazon Subscribe and Save: Clorox Toilet Bowl Cleaner with Bleach Variety Pack – 24 Ounces, 4 Pack just $1.95 Each Shipped! Head over to Amazon where you can score Clorox Toilet Bowl Cleaner with Bleach Variety Pack – 24 OZ 4 pack for just $7.79 or just $1.95 each, shipped! Pay: $7.79 or just $1.95 Each! Be sure to check out more Amazon Deals!